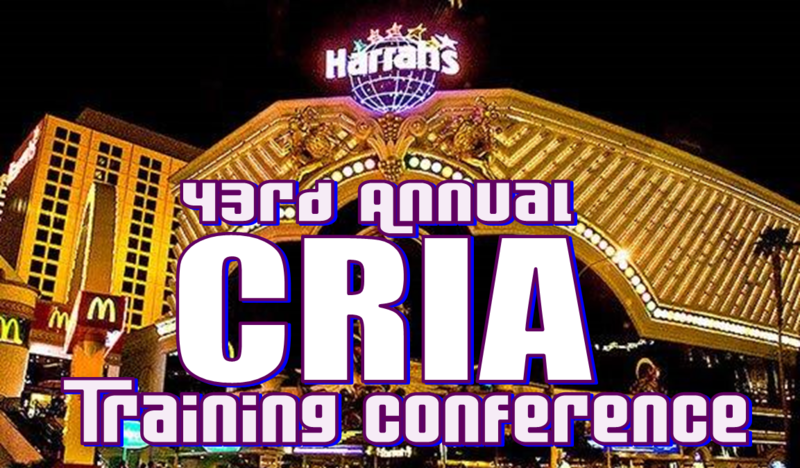 You must be a CRIA Member to register for the conference. Additional dinner guest tickets may be purchased for $60 during the registration process. NOTE: You are counted as one ticket. Leave "Additional Guest" field blank/zero if only purchasing one ticket. Add additional if needed. Our members are invited to join us for three days of training and education, networking, and some fun, too! Get timely and relevant information from some of the country's top trainers and leading experts in fields related to robbery investigations. Make valuable contacts with other law enforcement investigators, as well as employees of private industries related to robbery investigations: armored car/truck services, loss prevention investigators, and corporate and bank security. Get a "goodie bag" of items provided by our sponsors, and you'll have the opportunity to visit vendor booths displaying the most recent advances in crime-fighting technology, law enforcement equipment, apparel, and other items. Rooms available for just $59! As of 1/16/15, the $59 rate has expired, however if you use the CRIA group code when you make the reservation, you will receive a discount on your resort fee at check-in. You can Not add the group code at the time of check-in. It must be used at the time of your reservation to get the discount. No exceptions. will be entered into a drawing for a special gift! If you are an active member, clicking "Register" will prompt you to log-in to complete your conference registration. If you are not yet a member, you will be directed to apply for membership before registering. You may complete the registration process and wait for membership approval (Approximately 24 Hrs.). Once approved you can continue on to register for the conference. This will allow you to make one online payment for both Member Registration and the Conference fees at the same time.